Victor Dew, born June 8, 1990, in Hayward, CA, fulfilled his lifelong dream of becoming an infantryman in the United States Marine Corps, and was taken too quickly from us. While in high school, Victor earned his 1st degree Black Belt in Jiu- Jitsu, played football, and worked part time, graduating in 2008. He made the decision to enter the Marine Corps in September 2009 with his 2nd degree Black Belt, and was offered the opportunity of serving on the Marine Presidential Honor Guard. Victor chose to protect America’s freedom and borders and became an Anti- Tank Missileman responsible for employing the M220E4 TOW Weapon System and M98A1 Javelin Weapons System. During Victor’s first deployment to the Sangin Valley of Afghanistan, he and three brother Marines were killed when their MATV was struck by an improvised explosive device during Operation Enduring Freedom. 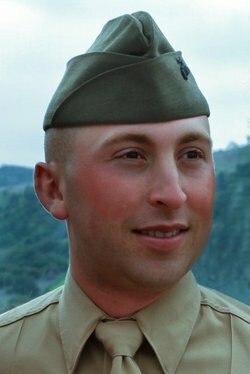 Promoted posthumously to Lance Corporal, October 13, 2010, was the day Victor Dew became the first graduate of Granite Bay High School killed in action while serving his country. Victor highly valued education, and had the dream of becoming a history teacher after his time serving. For this reason, we thank Victor, and so many other Veterans for their service to our country, and choose to run for them so we may contribute to many Veteran students and Gold Star Family students who are able to receive their college education and graduate debt free. What are the proceeds used for? William Jessup University is recognized as a 501(c)(3) non-profit organization (EIN – 94-1279803) which seeks to adhere to the highest standards of financial accountability and excellence. Jessup is a private Christ-centered university whose mission is to partner with the church in developing future leaders to the glory of God. 100% of the proceeds given to the Veterans Honor Run will fund the LCpl Victor Dew Endowment Fund. This funds purpose is to alleviate and ultimately eliminate graduate debt of Jessup veteran and Gold Star Family students. All of our fundraising efforts from the Veterans Honor Run go towards completing the endowment on the Victor Dew Veterans Endowment Fund so our veterans and Gold Star family students of Jessup may receive an affordable degree with little to no debt upon graduation. As we enter the Fall of 2016 Jessup needs $10,000 to fund the endowment ($25,000). Once the endowment is funded it will begin producing scholarships that will reduce the cost of education at William Jessup University. The Victor Dew Veterans Endowment Fund was launched in November 2014 when numerous volunteers formed the inaugural veterans committee. The endowment has been named after local hero, Victor Dew, who was killed in action in 2010. Victor’s mother, Patty Schumacher, serves on the committee to share the legacy of her son and his heart for education to keep his story alive for years to come. Since a child, Victor had a heart for service and always wanted to become a Marine. Once becoming a Marine, his goal was to return home and become a history teacher. His heart for service demonstrates the heart of Jessup to serve our community and nation well. We honor Victor for his dedicated life of service, and hope to honor our current veteran students through his inspiring story and the stories of our students here. Support the WJU Victor Dew Veterans Endowment Scholarship Fund. All proceeds make Christ-centered Higher Education more affordable for Veterans and Gold Star family members.